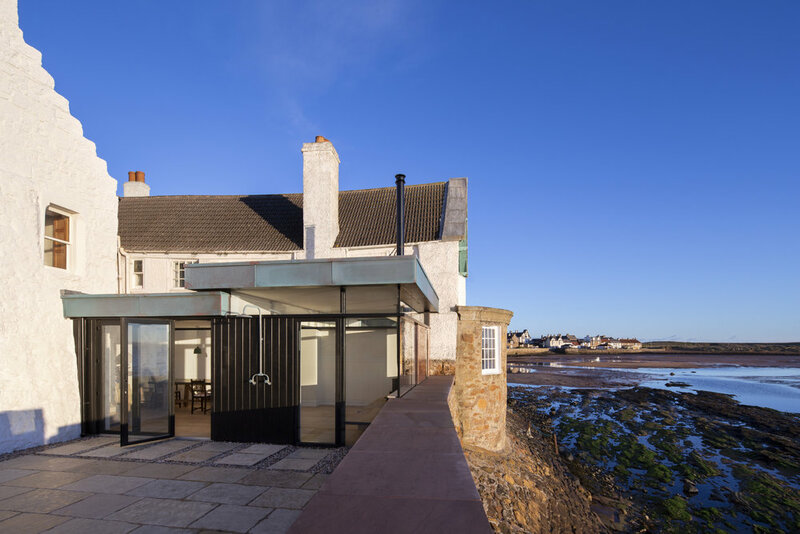 A project to transform a historic but neglected B-Listed house on the beautiful shoreline of the Conservation village of Elie, Fife into a remarkable contemporary home. 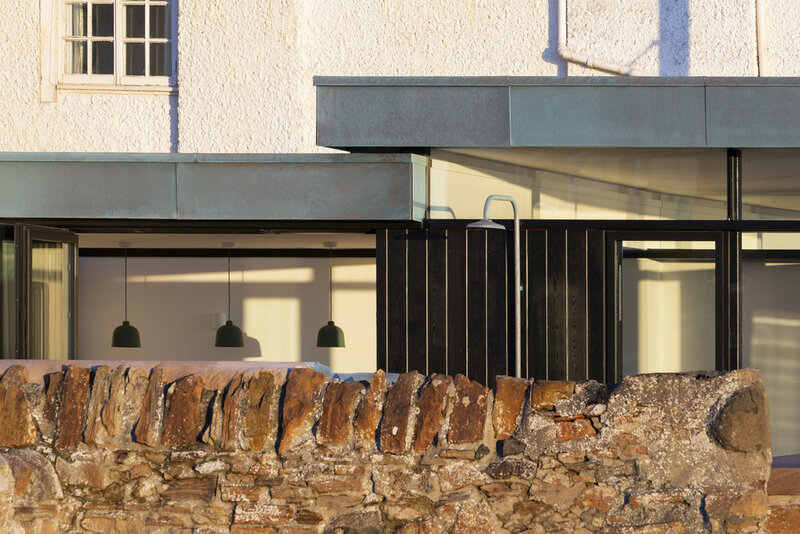 The original building is a quintessential example of the coastal East Neuk architecture, and enjoys an amazing south-facing private courtyard leading directly onto the sands of Elie Beach. However, insensitive alterations and a ghastly plastic conservatory had stifled the building's historic character and the potential of its unique location. A series of interventions improve the quality of space, light, movement and views internally and externally. 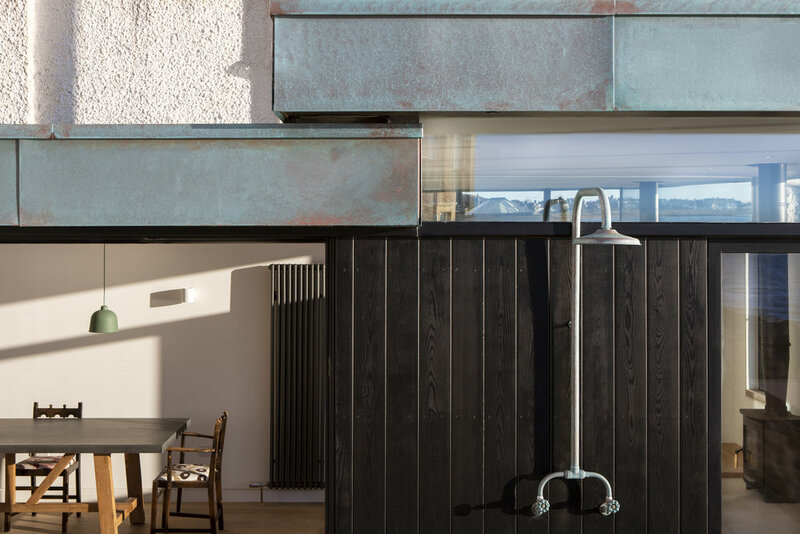 Two complimentary extensions create new kitchen, dining and livings areas that reclaim wasted external space, provide seamless connections to the seaward courtyard, and take full advantage of the stunning sea views. A design philosophy for the new forms was developed that avoided creating additional heavy building masses as part of the wider building group along the shoreline. Pre-patinated copper roofs echoing the rusty metal colours of maritime structures sit above otherwise highly glazed new structures. The project was completed in Autumn 2018.